A cinnabar lacquer box of foliate form with a flat-topped sleeve cover. The top is carved through a thick layer of lacquer and depicts a flowering rose tree with buds and curled leaves, set against a background of finely-carved geometric diapers. The straight sides are carved with a continuous wan pattern. The base is incised with three different fruits: a pomegranate, a peach and a finger citron. The rim of the base is further incised with a continuous pattern of waves. The interior is lacquered black. The Chinese rose is native to Southwest China in Guizhou, Hubei, and Sichuan provinces. Because of its long blooming season it is a symbol of longevity and is known as the ‘flower of eternal spring (or youth)’ (changchunhua). Since it blooms almost every month, it is also known as the ‘monthly rose’ (yueji). The character ji in its name, meaning ‘season’, is a pun for ‘four seasons’ or ‘year-round’. The incised decoration on the base, consisting of a pomegranate, peach and finger citron, forms a pun for ‘may you be granted the Three Abundances: blessing, long life and many sons’. 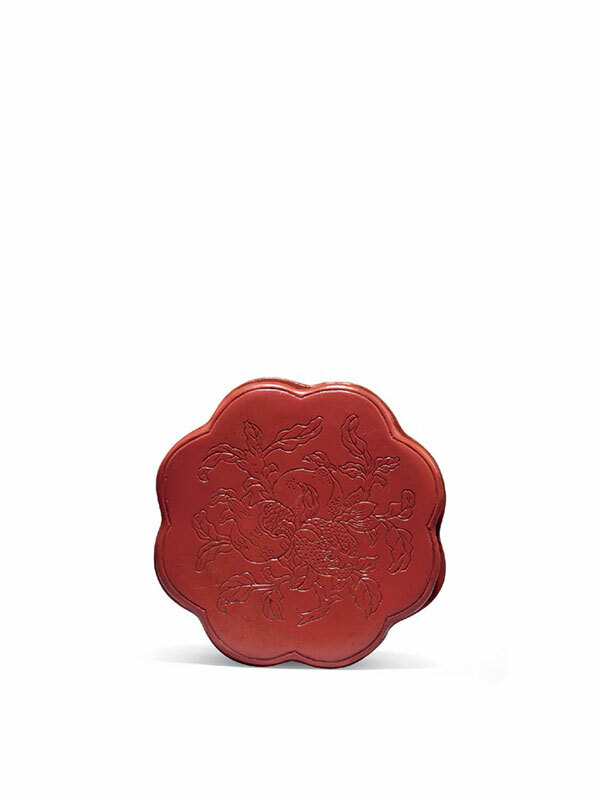 A pair of red lacquer circular boxes similar in size and design but carved with melons and butterflies, is dated to the Qianlong period and is in the collection of the Metropolitan Museum of Art, New York. 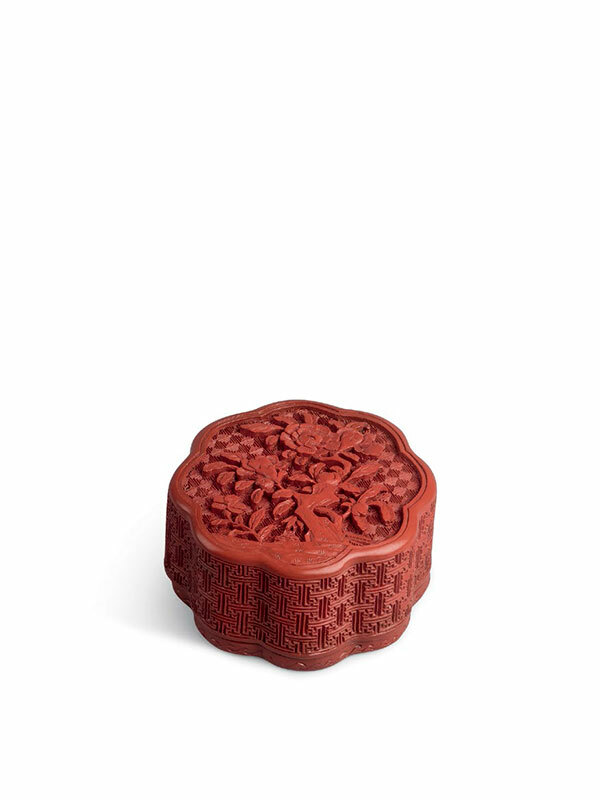 A much larger cinnabar lacquer box with similar rose decoration on the top was in the Qing Court collection and is now in the National Palace Museum, Taipei.